Model 2 (on the right) with a 2hp B&S engine. Model 3 has a 3hp B&S engine and free wheeling hubs. Adjustable rear flap is factory original option. 45 2218 Roto-Ette Model 2 serial number. I believe this one was built in April of 1955. Top number being the month, the bottom the last digit of the year, and the 4 digit number indicating this unit's particular number in the production series. 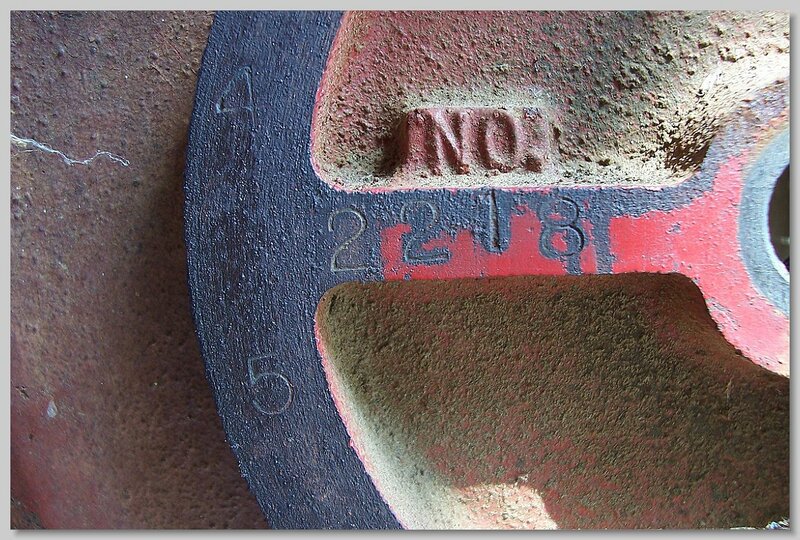 This number is stamped on the "Lightning Change Front", behind the disc that is mounted on the pin where all the attachments go. 45 2677 This is a Later 2 speed Model T, which I believe was built in April 1955 according to the info in the other Later Model T photo in this album. See next photo for location of the serial number. 45 2677 Later Model T pictured in this album. Serial number is stamped on the handlebar assembly mounting bracket. 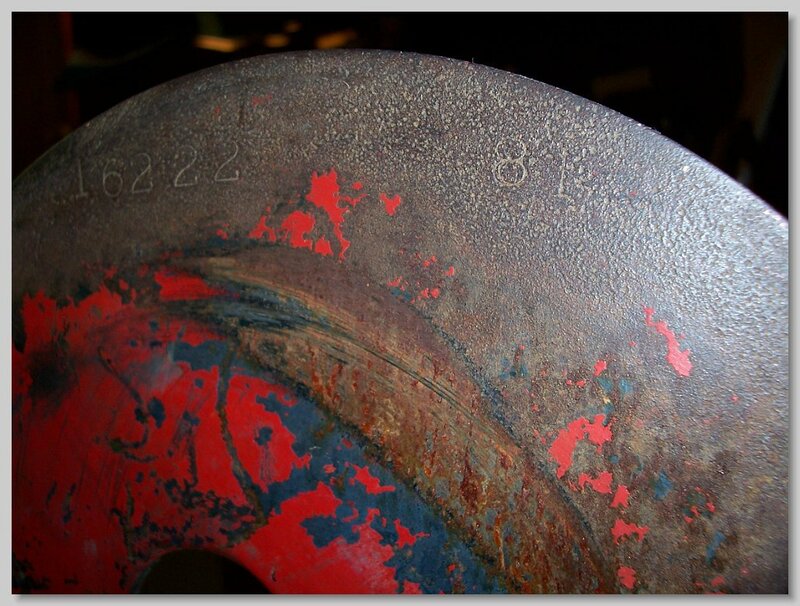 16222 81 This serial number for the early Model T is located above the motor belt sheave. It appears they put the month and year data after the unit serial number. I believe this Model T was built in August of 1951 and is number 16222 in the early Model T series. A Model 3 with the tine clutch feature. Note the handle protruding thorugh the tiller hood. Turning this would engage or disengage the tiller. This tiller is located in the Burden Iron Works Museum in Troy, NY. 25" Locke reel mower attachment mounted on my Model 3. 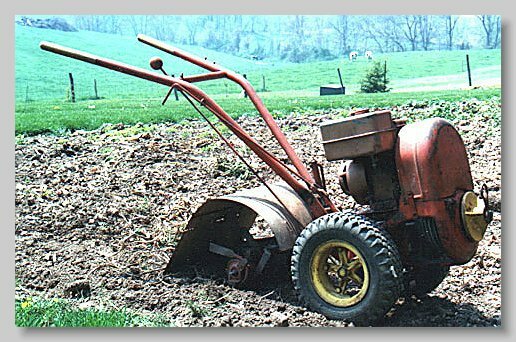 Dozer blade mounted on a Model 2. 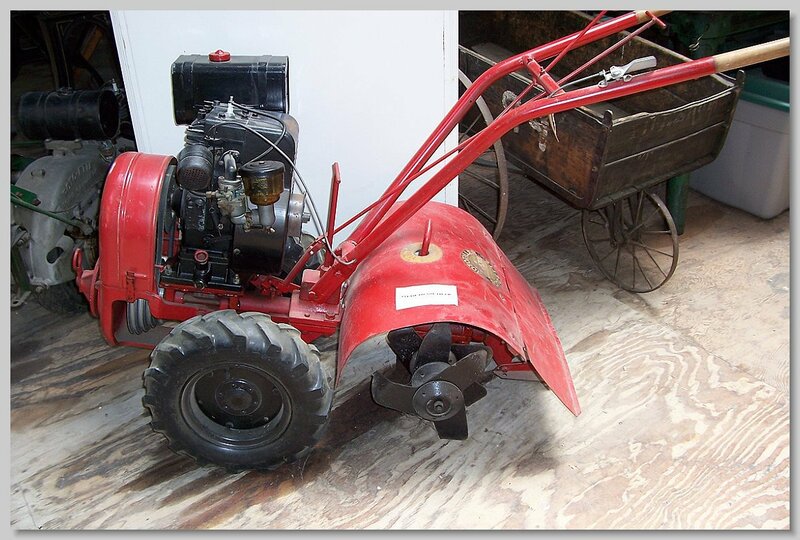 I also have the mount for using this on a Model T.
1957 Model 2 with a B&S Model 8B engine. On the very right is my very first Model 2. 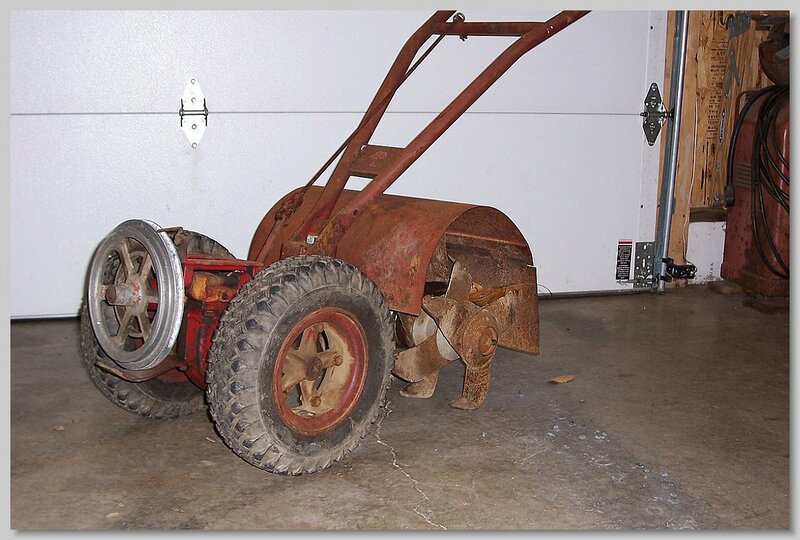 Belt driven sicklebar mower. I got this minus the rear drive setup. 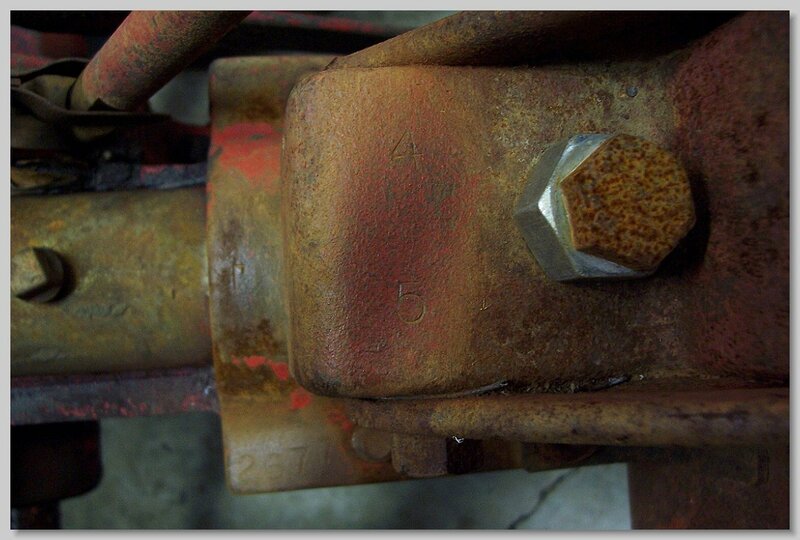 What is shown here is a temporay rear drive arrangement.